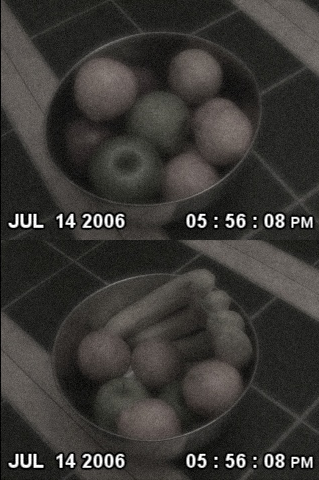 Example of discrepancies between standard video recordings (top) and SCP-1250-2 sample (bottom). Both cameras were filming the same bowl. Special Containment Procedures: SCP-1250 is to be kept in a large double-lock safe, within a fireproof enclosure at Site-██. SCP-1250's storage container is not to be opened by anyone without level three (3) clearance or higher. Samples of SCP-1250 that have been expended are to be properly labeled and filed away in a neighboring room, categorized by date, length, and content. These may be reviewed freely by all permitted staff. For a full list of available recordings, please refer to document 19A: 1250-Archives. Researchers wishing to use unspent tapes for experimentation must submit a formal request to Dr. Carter, with the details of the experiment(s) in question and the required number of samples. Suspected instances of SCP-1250 in use outside of Foundation custody are to be reported to Site Command and immediately investigated. In the event that samples be located, the tapes are to be confiscated and owners detained for questioning. Civilians are to be administered Class-A Amnesiacs post-interview, and the recovery zone put under surveillance for a period of 12 weeks following their release. Description: SCP-1250 is a collection of 9██ compact audio cassette tapes, and 7██ VHS tapes (SCP-1250-1 and SCP-1250-2 respectively). To date, ███ out of the 17██ tape samples have been expended, ███ of which were used for Foundation experimentation. SCP-1250 tapes are ashen in color and bear no markings or labels of any kind. Internally, both 1250-1 and 1250-2 samples are identical to other tapes of similar design and can be used via any standard audio/video recording device. Tape length has varied between individual samples, though remains within a range of 150-400 meters. Instances of SCP-1250 will seem to function as intended while recording; i.e. footage seen though a camera's screen or viewfinder will appear to be normal. However, playback of recordings captured via SCP-1250 samples will exhibit notable differences when compared to actual events. These alterations, while inconsistent, are initially never drastic. Multiple simultaneous recordings are noted to further alter proceedings, with greater numbers of SCP-1250-1 or SCP-1250-2 tapes present during a single session resulting in more dramatic variations. In the case of SCP-1250-2, visual discrepancies will manifest exclusively, as video samples produce no audio when reviewed. The only variables consistent across samples are the date, time, and location, all of which are 100% identical in every recording of a given event. SCP-1250 samples with recorded data can not be overwritten, and all attempts to transfer data to different formats have failed. Recovery Log: As of 04/13/2009, 5 separate SCP-1250 recovery incidents have occurred. In all cases, objects were collected without incident by assigned Agents. Interrogation has provided little information about the origin of the tapes, as all previous owners claim to have discovered them in an unmarked package. Frequency and location of incidents shows no recognizable pattern, though it is worth noting that phenomenon has remained isolated to regions within the United States thus far. Manufacturer(s) and distributor(s) remain unknown. Research is ongoing to locate a source for these objects. 05/03/1992 Lone SCP-1250 sample is discovered at the murder site of James and Elizabeth ███████. Details of film are found to be inconsistent with various aspects of the crime scene and autopsy results. Murder weapon shown in footage does not match with wounds observed on the deceased. Foundation intercepts request for federal investigation. Agents are dispatched to infiltrate the home of lead suspect, and ███ SCP-1250 tapes are recovered from the household. Individual eventually located and captured at a hotel in Mississippi. Suspect confesses to murder and is inducted as D-9173 following an extensive series of interviews. 09/18/1996 Anonymous informant contacted Foundation personnel, claiming SCP-1250 samples were being held at the ██████ County Library. Fire had broken out in the basement of central library building 2 hours before Foundation arrival. Burned corpse of librarian found in what remained of basement storage room following neutralization of the fire. Body was surrounded by boxes containing SCP-1250-1 and SCP-1250-2 samples, most of which had been damaged during the blaze. ███ SCP-1250 tapes salvaged from site, with the remaining unusable samples disposed of. Foundation surveillance center installed in city. Investigation into the identity of informant remains in progress. 07/23/2001 ███ SCP-1250 tapes are recovered from an abandoned Ford Ranger, located on the outskirts of Mesa, Arizona. The truck was reported stolen 63 days prior to its discovery. Truck owner claims they are not responsible for the tapes in the vehicle, and is administered Class-A Amnesiacs following questioning. Along with the tapes, a large collection of tourist pamphlets, newspapers, and United States road maps were also found inside the Ranger. Thief remains at large. 11/11/2005 Individual interviewed by local Rhode Island news network claims to have audio evidence of an alien abduction. Recording is played on air, to an estimated audience of ████ viewers. Foundation responds immediately, detains interviewee and all involved network staff. ███ SCP-1250-1 samples are recovered from home of Albert ████. Individuals are interrogated, administered Class-A amnesiacs, and implanted with false memories. Network reports the following evening that audio recording was forged. 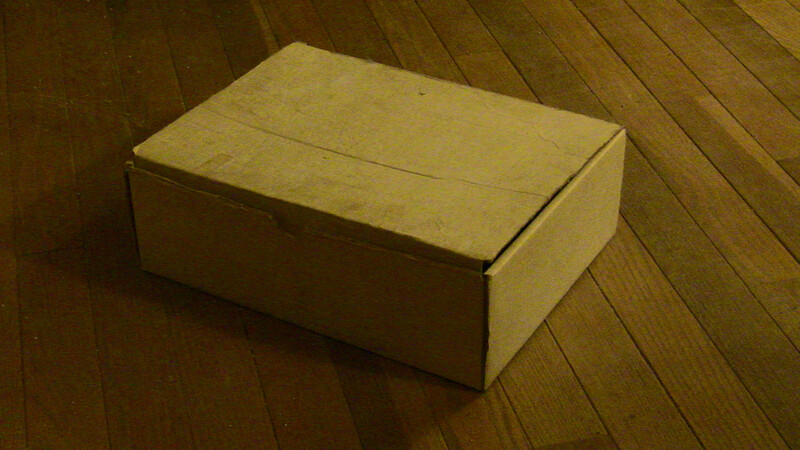 04/13/2009 A large, unmarked box containing ███ SCP-1250 samples is found near the main entrance of Foundation Site-██, stowed under a flight of stairs. Facility put on temporary lock-down and security footage reviewed. Object is never seen being transported to point of discovery. Staff report no signs of suspicious activity on grounds before box is located by researchers. No evidence of a breach is found. Addendum 1250-I: An experiment performed on 02/28/1993 involved the simultaneous use of both SCP-1250-1 and SCP-1250-2 samples to record a singular event. Samples were segregated into pairs and stationed at the base of a flight of stairs, set to record as a metal ball bearing was dropped from the above landing. At the experiment's conclusion, no match was found between any audio or video recordings. Addendum 1250-II: On 04/02/2001, Dr. T████ staged a reenactment of an earlier SCP-1250-1 test conducted on ██/██/199█. The conditions of the control tape were recreated down to the finest detail; all involved staff reprised their roles, and repeatedly lied about the date and time of the proceedings. The SCP-1250-1 discrepancies observed were identical to those of the earlier test. Addendum 1250-III: Extended research has concluded that the potential variability of recordings can be gauged, even if the actual content of recordings is impossible to predict. Sample recordings will present fewer unrelated changes when recorded in the presence of an event with a high number of potential outcomes. For example; footage of gambling paraphernalia in use will almost never showcase alterations outside the central object(s), regardless of how many additional samples are used to record. Addendum 1250-IV: As requested by Site Command, a collection of notable audio/video experiments have been archived in file #SCP-1250-E. The following is an archived list of noteworthy SCP-1250 experiment results. Additional examples may be added to this list on a future date, pending approval by Site Command. Permitted staff may request access to document 19A: 1250-Archives for a full list of available data. Experiment Log 1250-A: Audio Recordings. Dr. T████ is heard reciting an adaptation of the poem "Der Erlkonig" by Johann Wolfgang von Goethe. Control tape: Dr. T████ reads the poem in its entirety. SCP-1250-1 tape: The poem is read in its native German by an unidentified voice. Dr. T████ introduces himself by saying; 'Hello, I'm ██████ T████. It's a pleasure to meet you'. Control tape: Dr. T████ says the above greeting. SCP-1250-1 tape (1): A female voice says the greeting. The first name is replaced with Emily instead of ██████. SCP-1250-1 tape (2): A series of loud beeps and clicks play for the duration of the recording. There is no recognizable pattern. SCP-1250-1 tape (3): Dr. T████ is heard attempting to say the greeting. He sounds very weak, and takes several labored breaths after every few words. He does not finish the greeting before the recording ends. SCP-1250-1 tape (4): Two separate voices say the greeting. They are very stoic, and they speak in perfect unison. Neither voice can be identified as that of Dr. T████. SCP-1250-1 tape (5): The tape sounds as though it is immersed in water. A light tapping can be heard somewhere nearby. SCP-1250-1 tape (6): A crowd of people can be heard murmuring in the room. All of the voices appear to be uttering the greeting, though it is impossible to tell if Dr. T████ is among them. SCP-1250-1 tape (7): Dr. T████ is heard counting down from 14, reaching 0 just as the recording ends. SCP-1250-1 tape (8): The tape is entirely silent for the 14 second duration. A television in the background plays a syndicated episode of the popular children's show "Life with Billy". Control tape: Episode follows the titular Billy as he helps a close friend plan an important birthday party. SCP-1250-1 tape: Episode follows the same Billy attempting to try out for the school basketball team. Curiously there are no commercial breaks, and a portion of the same episode plays again before the tape is stopped. Name: Dr. Edwards, with Dr. ████ performing. Dr. ████ was asked to play Moonlight Sonata on an old grand piano. He has very little experience playing the instrument. Control tape: Dr. ████ hits several bum notes, and re-attempts several sections of the song to correct mistakes. He politely asks to stop playing after attempting for over 10 minutes, and the recording is ceased by Dr. Edwards. SCP-1250-1 tape (1): Dr. ████ handles the instrument flawlessly, playing with considerable grace, and receives a roaring applause from the other researchers present. In the place of Moonlight Sonata, the song played by Dr. ████ is unknown. SCP-1250-1 tape (2): A single note is played in 2 second intervals until 00:09:09. No other sounds can be heard for the remainder of the recording. Dr. Carter calmly asks questions regarding the nature of SCP-1250-1 and SCP-1250-2. Control tape: Dr. Carter asks the aforementioned questions. SCP-1250-1 tape (1): Dr. Carter can be heard talking, though he is very muffled, almost as if he were speaking from the other side of a wall. The nature of his speech is entirely indecipherable. SCP-1250-1 tape (2): A loud, atonal screeching eminates from the tape for the entire duration of the recording. Three tapes were left to record an empty room for 45 minutes. Control tape: Dr. T████ is heard exiting the room as the recording begins. Apart from a nearby door being closed at 00:27:01, the recording is entirely silent until Dr. T████'s return at 00:44:51 to end the recording. SCP-1250-1 tape (1): Dr. T████ is heard exiting the room as the recording begins. Infrequently, a light shuffling can be heard to the direct left. At 00:05:02 heavy, deliberate footsteps are slowly heard approaching from the left and continuing on past the empty room to the right. They can no longer be heard at 00:24:44, and the shuffling ceases at this point. Dr. T████ reenters the room at 00:45:16 to end the recording. SCP-1250-1 tape (2): Dr. T████ is heard exiting the room as the recording begins. At 00:13:08 a loud crash is heard coming from the right. Another loud crash occurs at 00:16:02, and an even louder one at 00:19:17. Something begins pounding on the wall in the hall outside the empty room at 00:26:20 and continues to do so with a consistent intensity. The door to the empty room is heard being torn from the frame at 00:44:10 as something proceeds to thrash it around the room. The tape cuts off at 00:45:03. Note: Due to the omission of audio by SCP-1250-2 video samples, all descriptions provided will cover only what is seen during control tapes, not what is heard. Dr. ████ Pitches a baseball to Dr. ██████ from a distance of 15 meters. Control tape: Dr. ██████'s bat is seen making contact with the ball, sending the ball flying far past the view of the camera. Dr. ████ claps in response to the home run. SCP-1250-2 tape: Dr. ████ is seen stifling a cough, delaying the pitch by 4 seconds. Dr. ██████'s bat is seen making contact with the ball, resulting in a foul. Three cameras were pointed at a television playing the contents of another SCP-1250-2 sample. The contents of this sample included a [DATA EXPUNGED]. Control tape: The contents of the original SCP-1250-2 sample are seen clearly on the screen. SCP-1250-2 tape (1): The tape came out blank, having recorded no material. SCP-1250-2 tape (2): The tape came out blank, having recorded no material. Two cameras were set on a small table in the middle of a large concrete room, facing in opposite directions. Control tape: The room remains empty, and nothing occurs for the entire duration of the film. SCP-1250-2 tape: A series of empty cans are thrown from behind the camera toward the wall by an unseen individual. This action persists for the entire duration of the recording. Dr. Carter set up a group of 12 cameras to record him rolling a pair of six-sided dice. Name: Agent H████, with Dr. Carter and Dr. T████ monitoring. Agent H████ was asked to fire 3 shots at Personnel D-32907 using his M9, from a distance of 22.5 meters. Agent was asked to intentionally try and avoid hitting D-32907 during the experiment, though this information was not shared with the subject. Control tape: The first two shots miss the subject. The 3rd strikes him directly in the right shoulder, the subject clutching at the wound and reeling in pain before the recording ends. SCP-1250-2 tape (1): All 3 shots miss the subject without incident. SCP-1250-2 tape (2): All 3 shots contact with the subject's chest and abdomen, knocking them to the floor. SCP-1250-2 tape (3): Agent H████ is seen standing directly behind D-32907, with his firearm pressed against the backside of the subject's head. He fires a single shot, killing the subject instantly, and stares at the camera for the remainder of the recording. SCP-1250-2 tape (4): D-32907 is replaced with a specimen of [REDACTED]. Agent H████ is killed during the ensuing conflict. Four cameras were left overnight in front of a television blaring static. Control tape: The static is consistently seen for the duration of the tape. SCP-1250-2 tape (1): In place of the static, stock footage of spiders is seen. The majority of the footage focuses on the spiders capturing and eating prey. SCP-1250-2 tape (2): In place of the static, black and white footage of a deceased elderly man is seen. He sits slumped in a chair next to an ornate lamp, in a room devoid of any other furniture. At 00:05:06 his body begins falling to pieces, starting from the top down. This process is subtle at first, as it takes up until 09:12:00 to fully complete and is more easily observed when the footage is sped up. SCP-1250-2 tape (3): The television is off, and a lamp behind the camera can be seen in the television's reflection. A silhouetted figure is seen passing through the reflection on occasion. 24 hours prior to this experiment, Dr. T████ was the victim of an unfortunate car crash, and was rushed to ████ ██████ Hospital, under Foundation custody. Dr. T████ had previously asked to have his final moments captured on tape by SCP-1250-2, in the event of a fatal injury or terminal illness. Control tape: Dr. T████ remains motionless in his hospital bed for the duration of the recording. Nurses are seen rushing in at 00:43:05 in response to his heart monitor flat-lining. Despite their best efforts, Dr. T████'s heartbeat is not restored, and he is pronounced deceased at 1:09:15. SCP-1250-2 tape: Dr. T████ is conscious during the initial portions of the recording, and is seen discussing something with one of the nurses before she exits the room at 00:25:54. Dr. Carter is seen walking into frame at 00:43:05, and quickly proceeds to smother his colleague with a nearby pillow. Dr. T████ struggles against the attempted suffocation, but he is easily overpowered by Carter, and falls still at 01:09:15. Dr. Carter exits the room following the confrontation, and is not seen for the remainder of the recording. Note: Following the events of the above experiment, the project has been handed over to Dr. Carter. He has requested that no further SCP-1250-2 experimentation be performed for the time being.